Supply chain transparency is becoming more important to business leaders and consumers, both of whom increasingly are concerned about working conditions, human rights, and environmental preservation. Apple, a company well known to both groups, recently released its “Supplier Responsibility 2016 Progress Report,” which highlights the tech company’s rigorous push for corporate social responsibility standards. Based on the firm’s success, other companies should “take note, and look for ways they can improve their supply chain sustainability to stay competitive,” writes Jessica Lyons Hardcastle for Environmental Leader. Apple audited 640 of its suppliers around the world in 2015, 1 percent more than in 2014, and 41 percent more than in 2013, according to Environmental Leader. This is the 10th year the company has released a supplier responsibility report. “[The report] details the strides Apple has made in protecting human rights by stemming excessive work hours and addressing bonded and underage labor practices,” writes Jeff Williams, Apple’s chief operating officer, in the report's introduction. Not only does Williams oversee the company’s entire supply chain, but he also leads Apple’s corporate social responsibility initiatives. The numbers are significant. Apple reports that in 2015, its work-hour compliance among suppliers reached 97 percent. The tech company also is fighting bonded labor, an arrangement through which workers pay recruitment fees for jobs before they have a paycheck, sometimes forcing them into debt. When Apple discovers suppliers that are using bonded labor, it makes the suppliers repay the employees. According to the report, the process has resulted in more than $25.6 million repaid to workers since 2008—and $4.7 million in 2015 alone. prevented more than 13,800 metric tons of carbon emissions. The SCOR framework links business processes, performance metrics, practices, and people skills into a unified structure. 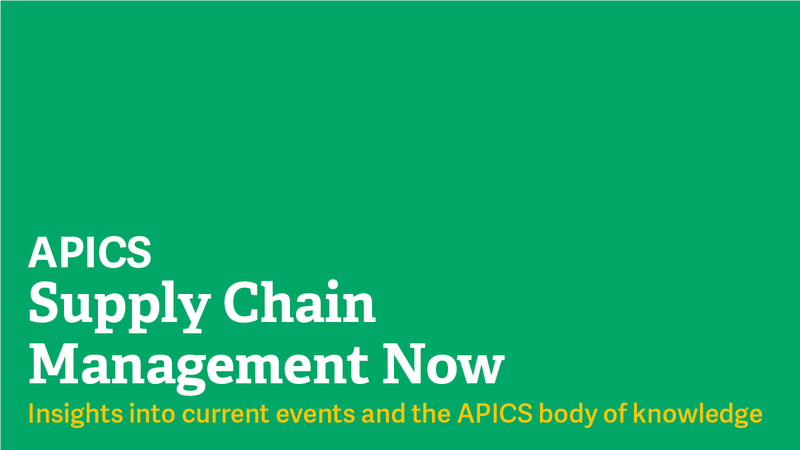 It is available to APICS Supply Chain Council affiliates and sponsors. For more information, visit www.apics.org/sites/apics-supply-chain-council/join-apics-scc/join-apics-scc.